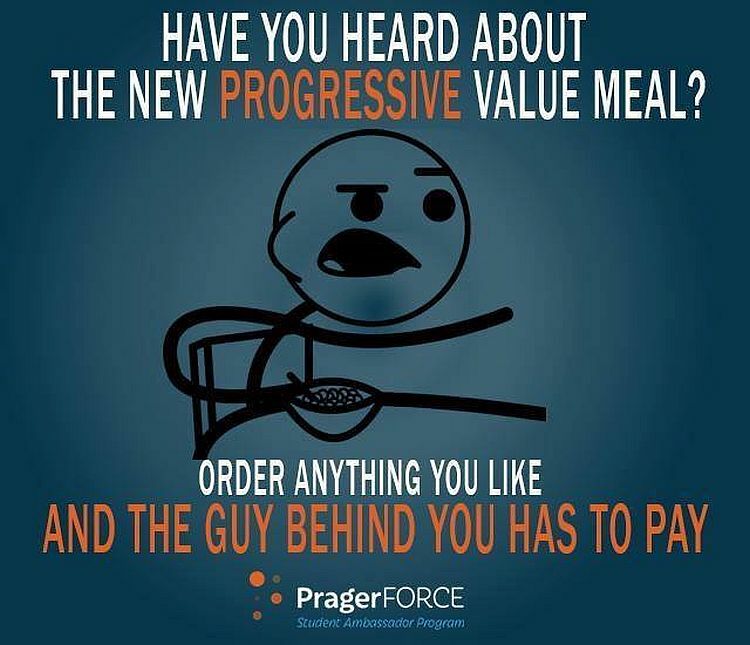 JOKE: Have You Heard About The New Progressive Value Meal? Kimberly Morin reports anytime a legislature wants to enact welfare reforms, the left loses their minds. New work requirements in Georgia have caused thousands of people to lose their food stamp benefits. More than half of food stamp recipients in 21 Georgia counties have been dropped from the program following new work mandates instituted by the state, according to The Atlanta Journal-Constitution. 11,779 people without kids and considered capable of working were required to find work by April 1 in order to continue to receive the assistance. But 62 percent were dropped after the deadline, decreasing the number receiving food stamps to 4,528. These reforms are basically going back to the Clinton reforms of the nineties. Under the Obama Administration they changed the rules and made it so able-bodied, childless adults who can work were eligible for food stamps. Food stamps are intended to help those who truly need the help, not those who just want free stuff. Clearly the reforms, which have passed in several states, are proving that people are indeed abusing the program. These people are essentially stealing from the poor and needy for their own selfish reasons, all thanks to the hard-earned money of taxpayers. Trump’s budget also has reforms to food stamps, and the left is screaming and lying about those reforms as well. It seems the left likes that some people are stealing from the poor.